A special event at county hall this week has unveiled the county's Awesomest Book. 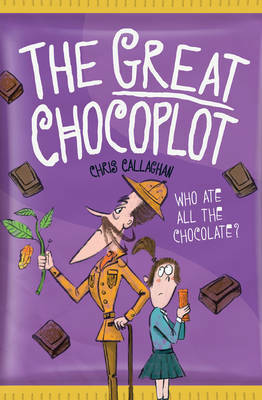 'The Great Chocoplot' by Chris Callaghan and illustrated by Lalalimola, has been voted as Worcestershire's the Awesomest Book for 2017 by Worcestershire's young readers. For the last four months Worcestershire County Council's Schools' Library Service has been working with public libraries and schools to encourage their pupils aged 7 - 11 years, to read as many of the five shortlisted titles as they are able, and then vote for their favourite. The winning book, The Great Chocoplot, was announced at an exciting awards ceremony held at County Hall on Tuesday, March 7. Over a hundred pupils from nine schools packed the council chamber for a full programme of activity including a talk and book signing by author Mark Lowery. A quiz was held for all participating schools with a round on each of the books and one on authors or illustrators. Westacre Middle school was the winning school team and were each presented with a medal. Cllr Lucy Hodgson, cabinet member for Localism and Communities said: "The Awesomest Book award is a great way to celebrate the quality and range of books available for younger readers, and we are delighted to welcome successful authors like Mark to Worcestershire to help inspire them. "Over the past three years, the awards have grown in popularity which is great news for the Libraries and Learning Service as we are able to reach and benefit more and more young readers each year we run the awards."